This entry was posted on Monday, 29 August 2011 at 5:40 PM and is filed under Automotive, Babe Magnet, Bizarre, Douche Baggage, Humor, LOL Things, Odd. You can follow any responses to this entry through the RSS 2.0 feed. You can leave a response, or trackback from your own site. That’s like pure high-potency babe-catnip there. They’ll be flinging themselves at him and fighting for ownership rights. I’m wondering why the armrests since your arms have to be forward to control the beast. LK & LC– You both missed it. 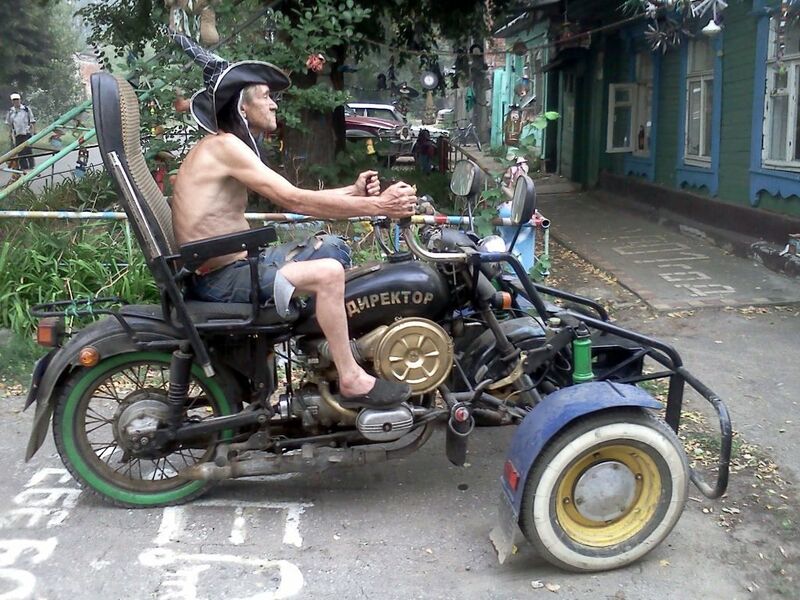 It’s not the trike, its the Hat On The Cat.